Carrots. Real Carrots a photo by BaboMike on Flickr. Another orange themed post? Whats that? I forgot to mention the chupa-chup last week was orange flavoured? Well, now you know. 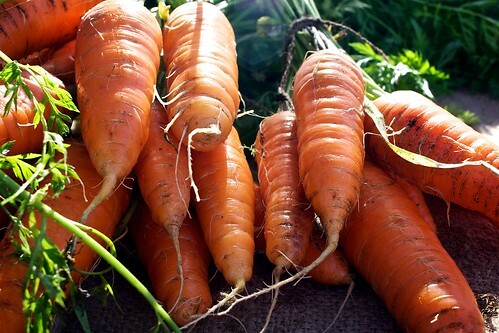 These here are organic carrots from our local farmers market. We’d heard about this place before, but never actually found it. Turns out its easy to find, we didn’t look hard enough. This one particular stall was selling amazing looking potatoes, carrots and turnips. We bought a few things and it was all good.